Posted in Press Releases and tagged Bossini on 17/05/2016 . Gear up for fun as Bossini launches its limited edition SANRIO clothing line and tote bags on Sunday, 22nd May 2016 at our Mabohai Shopping Complex store! ’A Day with Sanrio’ is a fun filled day where the family gets to enjoy activities themed around the wonderfully fun characters from Sanrio. 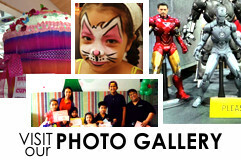 Kids can enjoy the all day fun games we have arranged for them from 11 am. Play the Sanrio Ring Toss or try ‘Pin the Ribbon’ on Hello Kitty or take a photo at our photo booth with the entire family. Enroll your children in our Fun Colouring Contest and stand a chance to win Bossini vouchers and Sanrio merchandise. There are two categories for this Sanrio Themed Contest, for children 4 to 6 years old, and for Children 7 to 12 years old. The contest starts at 2 pm and ends at 3 pm, with the awarding of prizes at 3.30 pm. 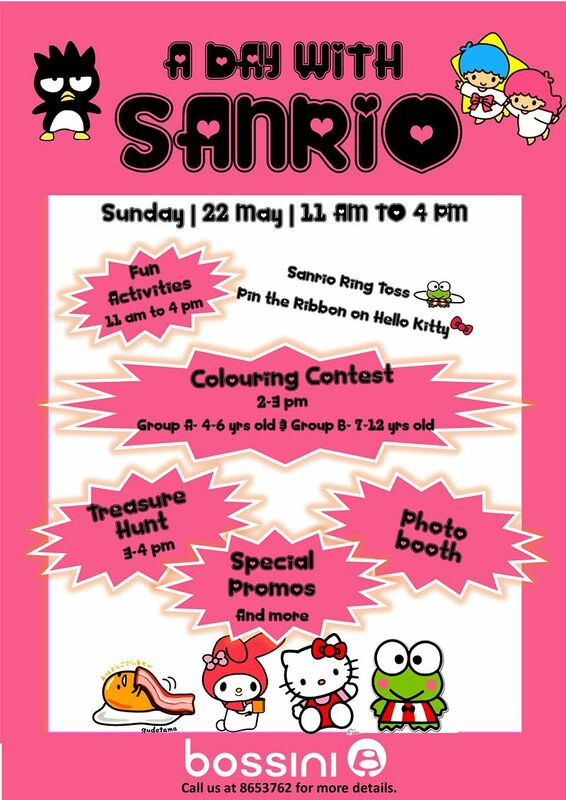 While waiting for the prize ceremony, children can join the Sanrio Treasure Hunt which will take place in the store.